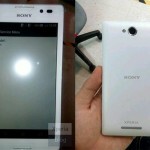 It looks like Sony has another new Android smartphone in the works, as details and some photos have been leaked of the Sony Xperia S39h, and it looks like it will feature a slightly larger display than the 4.3 inch display on the Xperia L (C210X, S36h). 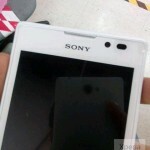 As yet we do not have a lot of details about the specifications on the Sony Xperia S39h, what we do know is that the handset will come with a dedicated camera button, and it looks like the device will launch in China. 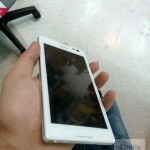 Have a look at the photos below, it isn’t clear as yet whether the model pictured is a prototype device or the final production model, as you can see from the photo it will be available in white, we presume the handset will be available in black as well and possibly some other colors. 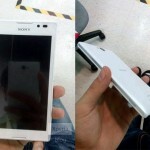 As the device features a dedicated camera button, we would suspect that the camera will be a main feature on the device, we suspect that the handset will come with Sony’s 13 megapixel sensor, the same one as in the Sony Xperia ZR. 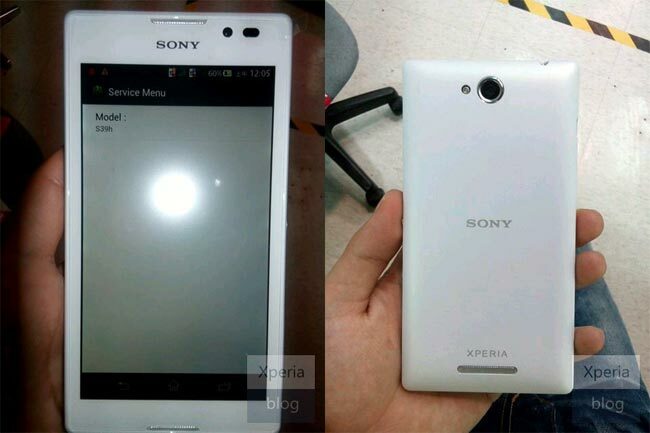 We would expect the display to either be a HD display with a resolution of 1280 x 720 pixels or a full HD display with a resolution of 1920 x 1080 pixels, as soon as we get some more details on the Sony Xperia S39h we will let you guys know.